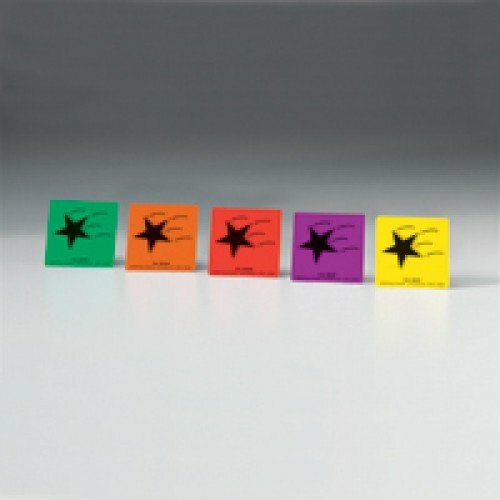 Falling Star Magnets by Posey help medical workers indicate which patients are at a high risk of falling. The magnets can attach to the outer doorjamb of a patient's room or anywhere else with a magnetic surface. 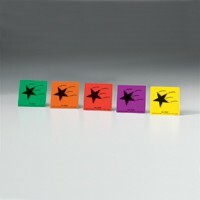 Fall Risk Magnets come in five bright colors, green, orange, purple, red, and yellow. The different colors make it possible to also use the magnets to color-code patients for additional indications if desired. Each package includes 12 magnets. where are your smaller stars? Please bring back the smaller version - these are too big and the magnet won't hold!